Chickadvisor has a new Product Review Club offer! 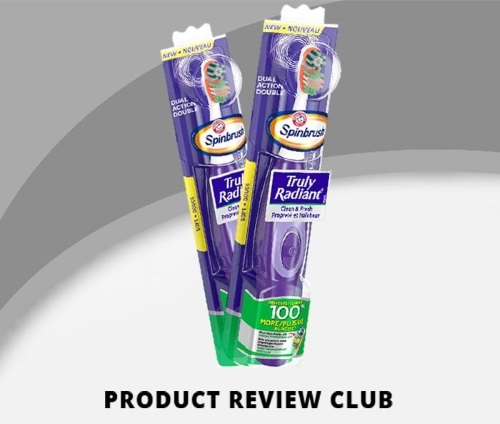 This one is for Arm & Hammer Truly Radiant Spinbrush Toothbrush! Sign up at the link below for a chance to be 1 of 200 Product Review Club members to be chosen to try this product out for free for review! Share about this with the hashtag #TrySpinbrush opportunity on Twitter or Instagram! This offer closes on May 22, 2016. Selected participants will be notified by email during the week of May 23, 2016.